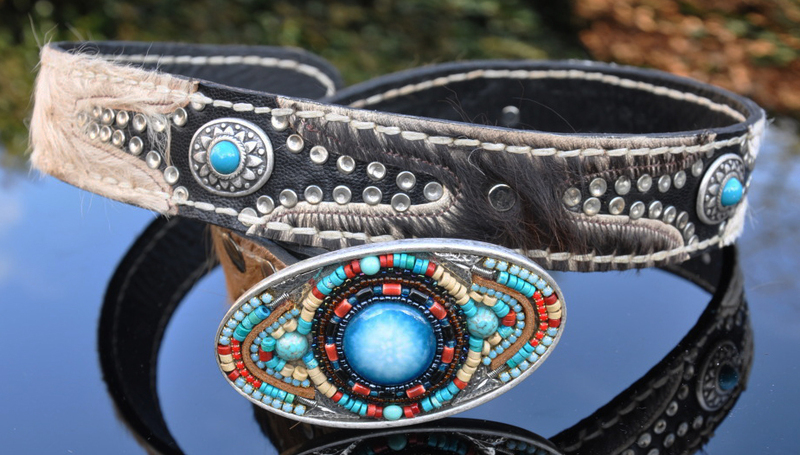 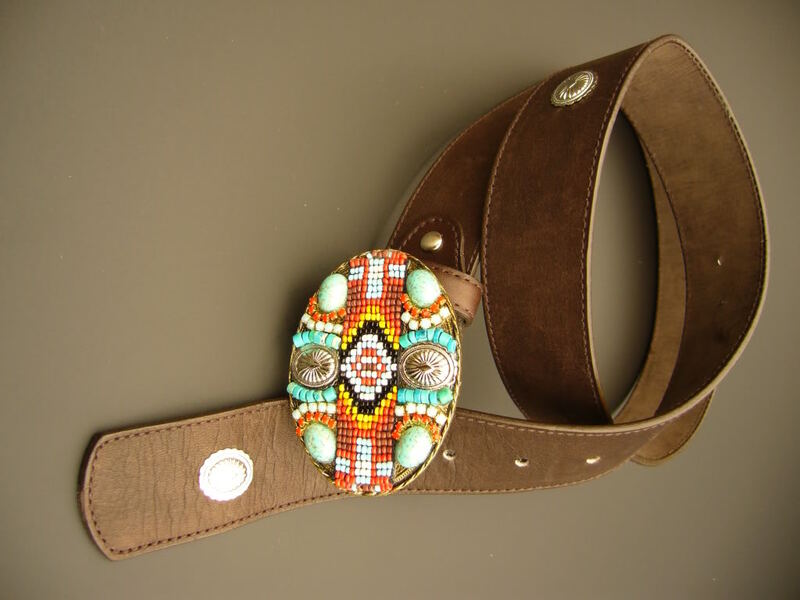 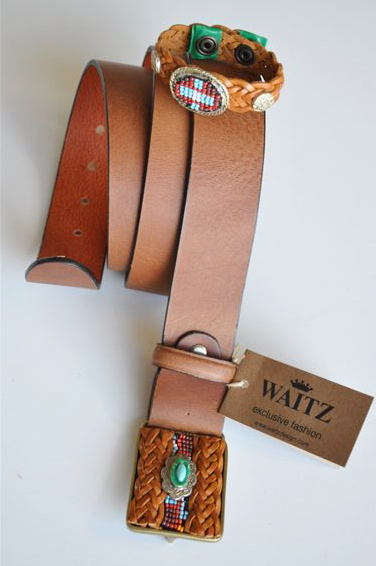 1.6" wide, Handcrafted buckle with beads and reindeer suede. 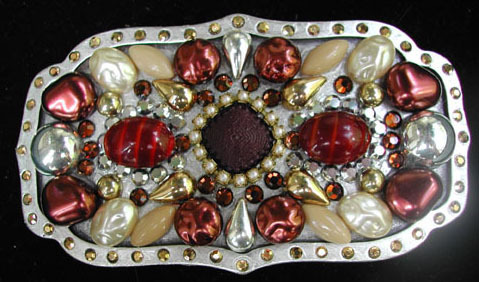 1.6" wide, handcrafted buckle decorated with porcelain and beads. 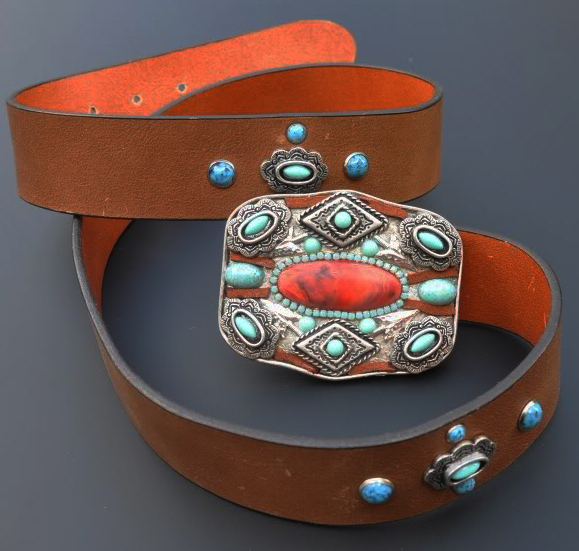 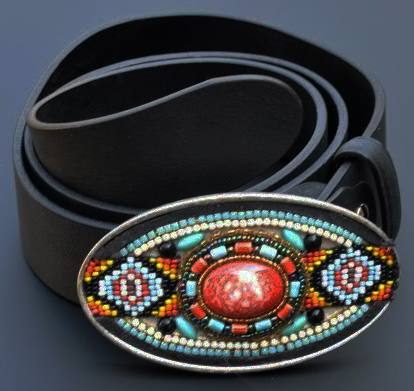 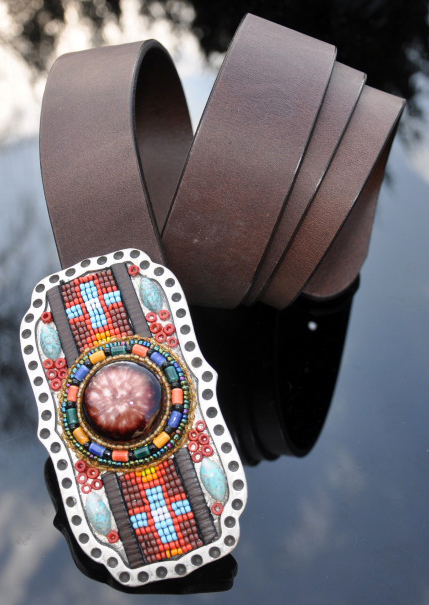 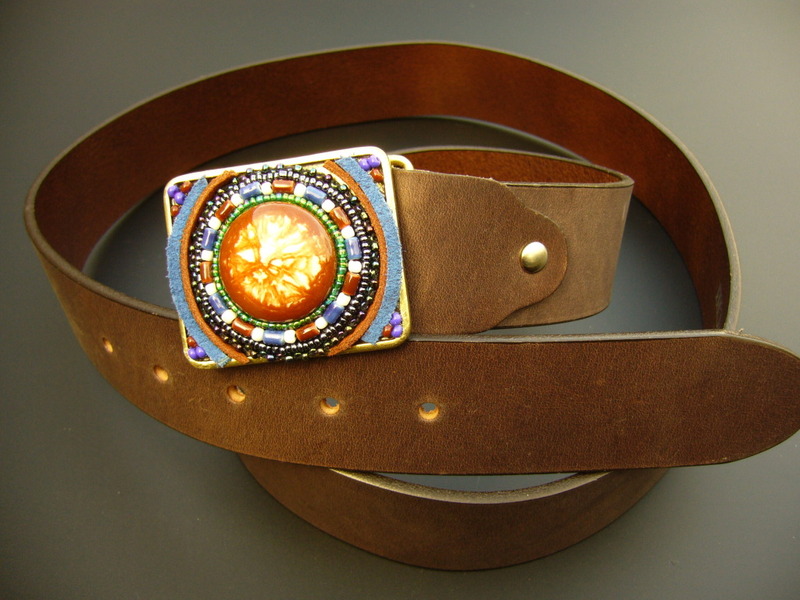 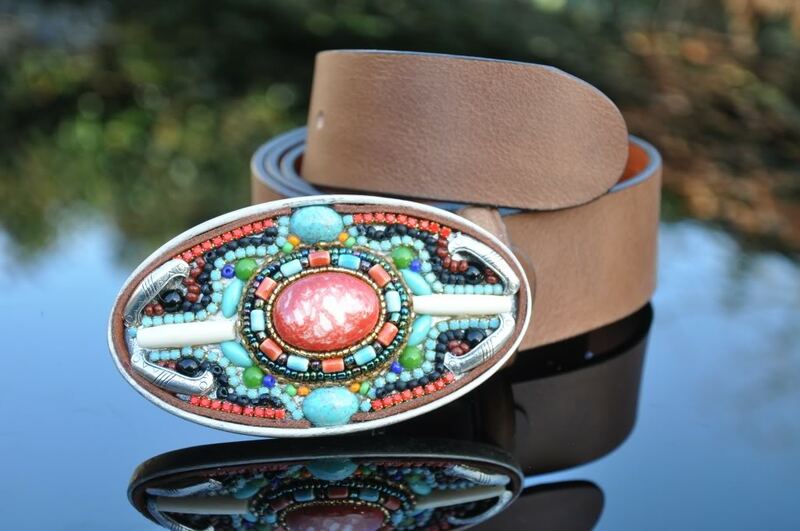 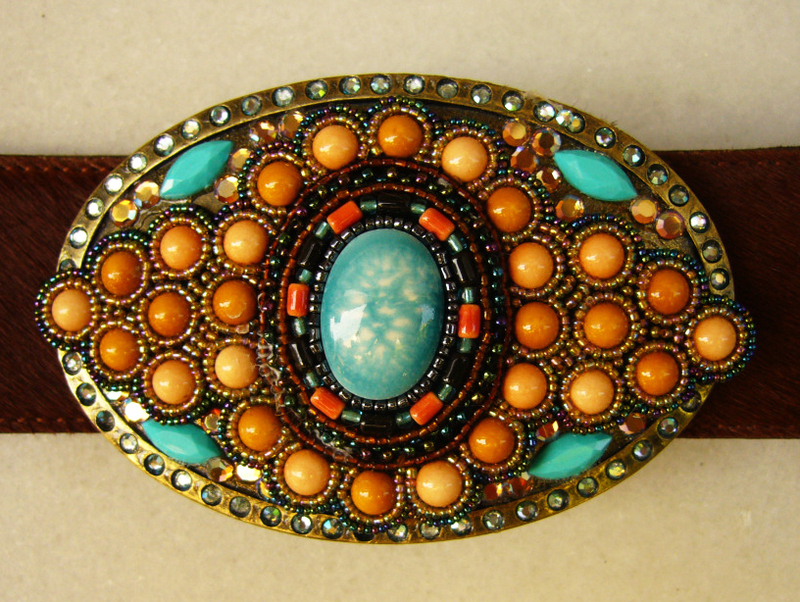 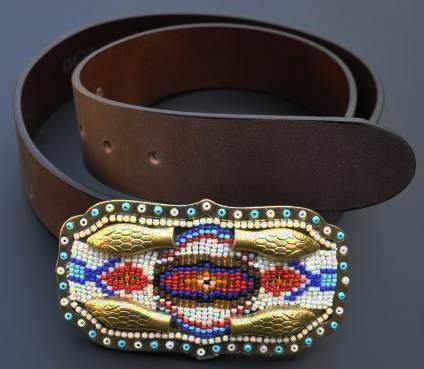 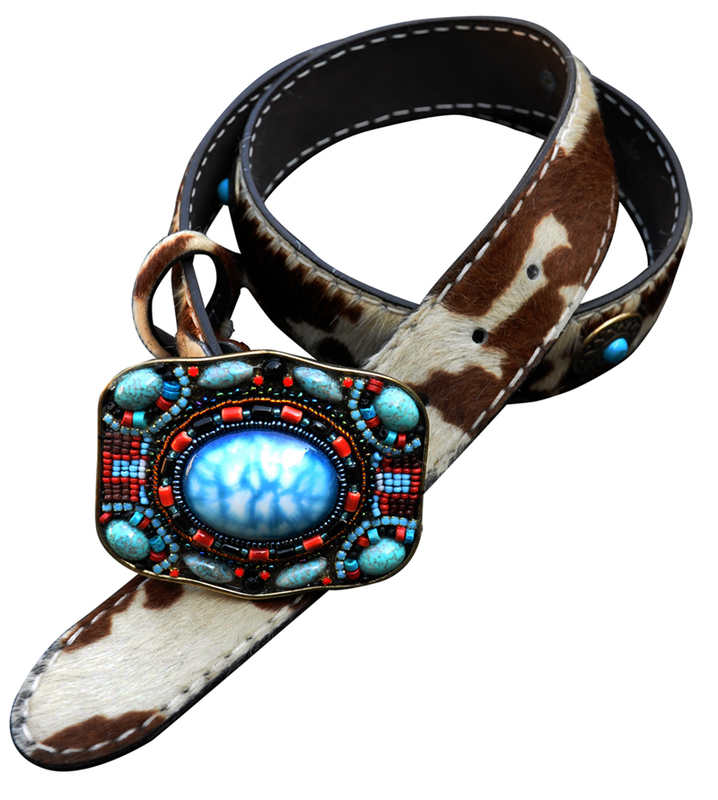 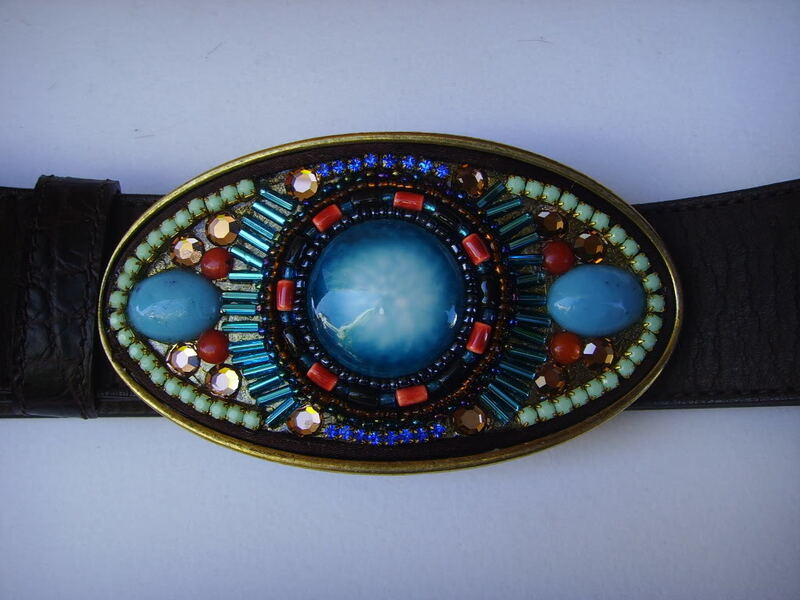 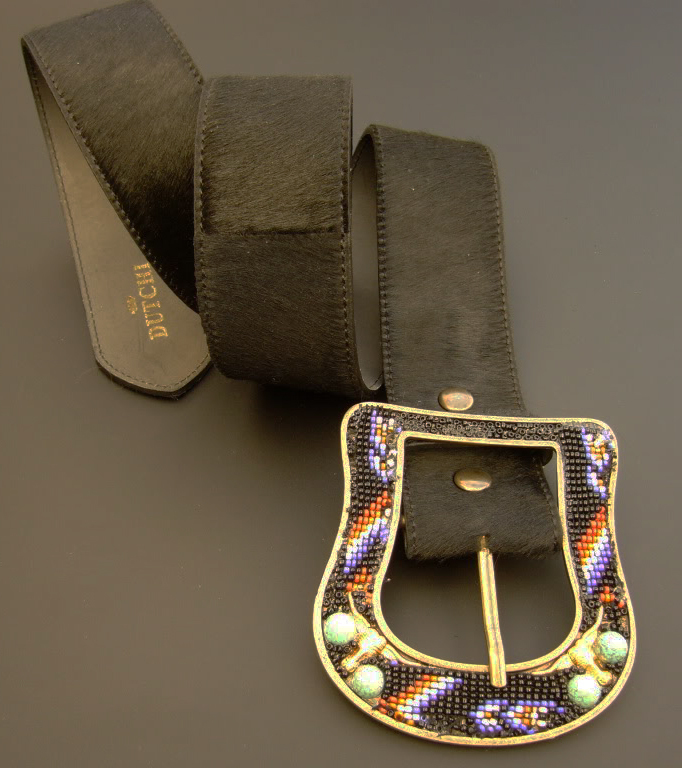 1.6" wide, Native American buckle made with porcelain, swarovski, stones and beads. 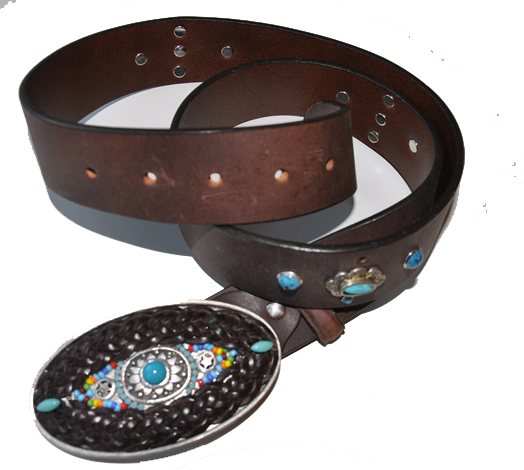 1.6" wide, Handcrafted porcelain and bead buckle. 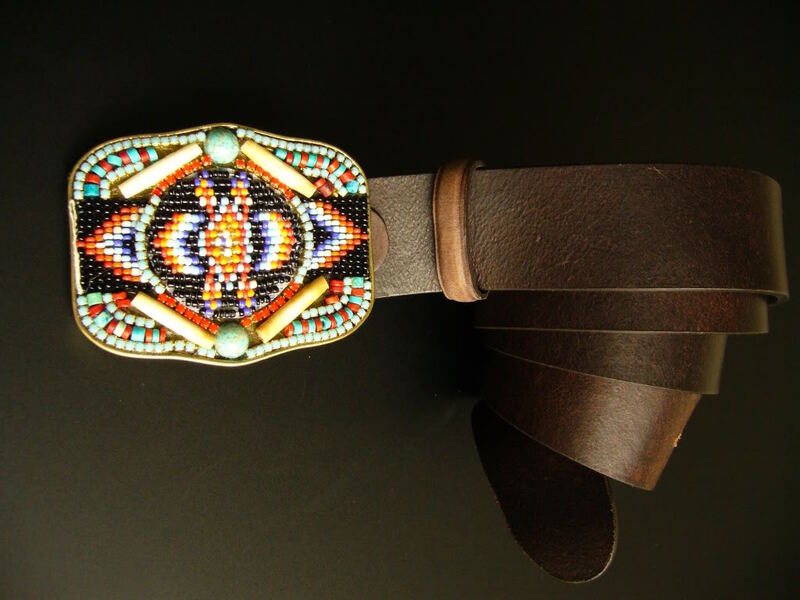 1.6" wide, Native American inspired buckle. 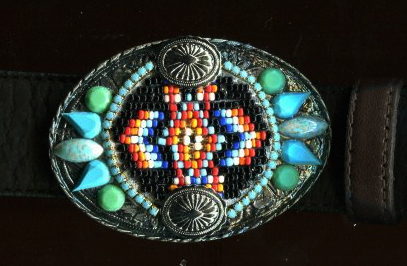 1.6" wide, Native American inspired horseshoe buckle.